IBF champion John Riel Casimero is moving up in weight and challenge Armando Santos for IBF Flyweight Eliminator. The fight will be held at Pachuca Hidalgo, Mexico on December 13, 2014. 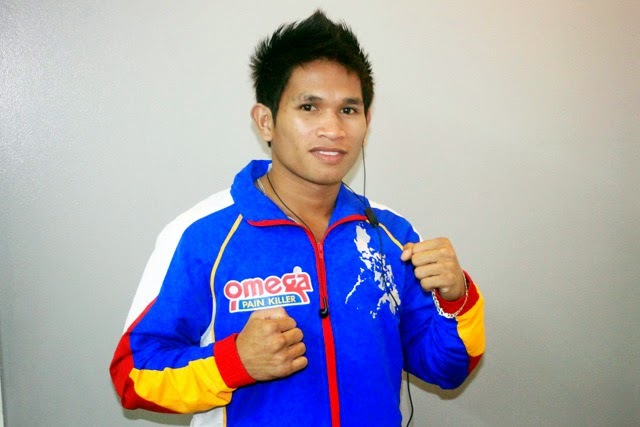 Johnriel Casimero is rated no.1 in the Philippines in flyweight division and rank no. 8 in the world. He is a former IBF light Flyweight world Champion. He has a record of 20 wins, including 12 wins by way of KO and 2 defeats. He is a KO puncher. He he won his last fight against Mauricio Fuentes for IBF World light flyweight title but he lost his title because he failed to make weight that time. Armando Santos a Mexican boxer and the current IBF international flyweight champion. He won his title against Javier Franco last February this year via Majority Decision Victory. Santos also has a good record of 14 wins and 8 of his wins are by way of KO and has only 3 defeats. Johnriel Casimero is one of the top boxer now in the Philippines. Watch out for this kid because I believe that he will win a championship in different divisions.